A fall trip to London would be smashing. Europe’s largest city has enough to keep tourists busy for months. But, what if you only have time to visit one site? Which would it be? Westminster Abbey, Big Ben and the House of Parliament, the British Museum or the Tower of London? I’d pick the Tower of London and in fact, highly recommend returning on every trip. Sounds trite but the UNESCO World Heritage site truly offers something of significance for most everyone. Want history and architecture? William the Conqueror began work on the Tower shortly after he won his crown in 1066 . That’s nearly a thousand years ago. He wanted to protect his important London base. Over the centuries, the stronghold evolved into a symbol of English royalty. Today, visitors find a complex of castles, fortifications, courtyards and buildings including the famous White Tower started back in 1078. The legendary Bloody Tower held two imprisoned princes, sons of Edward IV, who were likely murdered by Richard III. 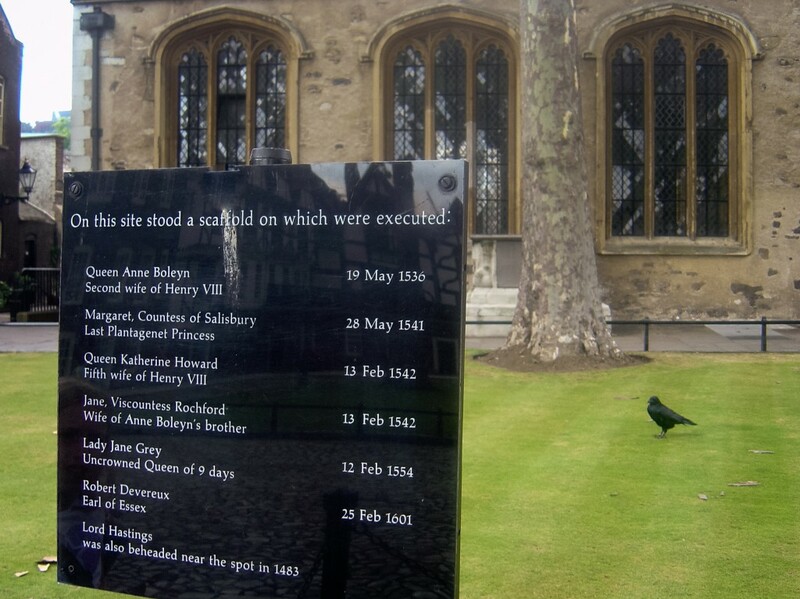 Stroll around to the former scaffold grounds where notorious beheadings took place, including those of Queen Anne Boleyn and Sir Thomas Moore. Bird lovers enjoy the ravens who are guaranteed to be on the Tower Green. Legend says the kingdom will fall if they desert the property. Shh, the ravens wings are clipped. The fortress acted not just as a royal residence and prison, but as a treasury and armory. Now a fantastic assemblage of medieval weapons and royal armor are exhibited. Those interested in religion are drawn to the simple Chapel of St. John, the oldest church in London, and a fine example of Norman architecture. The Crown Jewels are securely stored in the Jewel House underground. They attract a line of visitors waiting to ogle over the vast collection of priceless gems and royal regalia. Photographers shoot the view of Tower Bridge, seen from the edge of The Water Gate, better known as Traitor’s Gate. 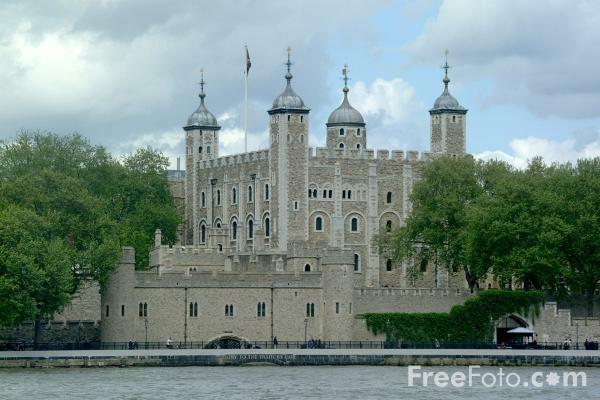 Queens Anne Boleyn, Catherine Howard and Princess Elizabeth, later Queen Elizabeth 1, entered it as prisoners. 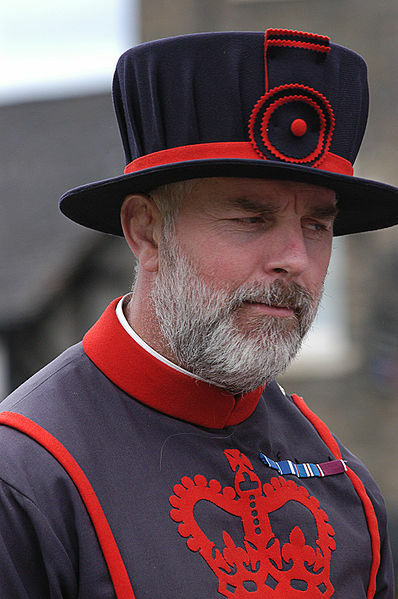 And no visit to London is complete without a snapshot of the flamboyantly costumed Beefeaters or Yeoman Warders. They guard the Castle grounds and give lively tours. 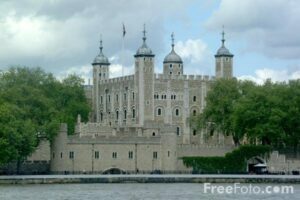 The Tower is London is, in my opinion, the city’s best landmark and its location is ideal for anyone looking for hotels in London city centre. The subway offers easy access via the Tower Hill stop. Even if time is short, don’t miss this historic and enthralling site. London is a huge city, and with three days to see the highlights, it’s a good idea to make use of the public transportation system. Get on the tube or a hop on, hop off sightseeing bus, and you’ll be able to explore London’s top attractions easily. Start your visit in Hyde Park, one of the largest parks in the city and one of the best-known landmarks. If the weather is nice, you can rent a paddleboat in the Serpentine or have afternoon tea at the Orangery in the adjacent Kensington Palace Gardens.